Samsung’s naming scheme has always been confusing to me. Sometimes, I feel that they are trying to have all the alphabets added as their smartphone series, with now one could find the A-series, the J-series, the S-series and so on. 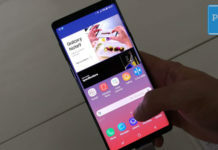 Recently, Samsung brought in the Samsung Galaxy A8 into Malaysia, and I can’t help wonder how is it different from the Galaxy S8 which is not only more pricey, but also the premium of the two. The reason I’m wondering about the Samsung Galaxy A8 is due to its lovely built, which puts it right up there with premium or flagship smartphones. Anyway, looking closer, I then realized the difference between the Galaxy Galaxy A8 and Samsung Galaxy S8, and here’s me, sharing it with you. Before your read, since I don’t have both devices with me, and I am shy to take photos at the nearby Samsung store, this post is without photos. The Galaxy A8 is slightly heavier than the Galaxy S8 with the former weighing 172g against the Galaxy S8 which is only 155g. The Galaxy A8 is also slightly longer and thinner than the Galaxy S8, although it is shorter in width by a few millimeters. Both share the same material and glass build, and offers 18.5:9 inch screen design, which is according to current trends, although the Galaxy A8 has lower pixel density and colour depth. Personally, I do not see much difference with colour and performances of both phones. While the amount of RAM and storage space (ROM) for both the Galaxy S8 and Galaxy A8 is similar, the same can’t be said for the processor. The Galaxy S8 has the more powerful Octo-core Exynos 8895/Snapdragon 835 processor, as opposed to the Galaxy A8 which comes with the Octo-core Exynos 7885 processor. 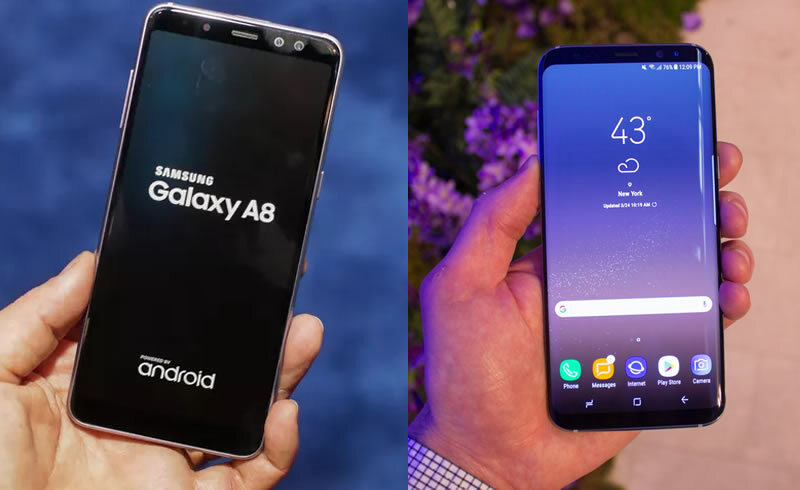 This means if both phones are compared, you can expect better performances from the Galaxy S8, which rightfully, is the flagship smartphone from Samsung. Both phones gets the quick charge supporting 3,000mAh battery which can be charged using a Type-C USB cable. Probably one of the most important components in a phone these days would be the camera. The Galaxy S8 again has a better camera despite the lower pixel count it offers, which is 12MP. The Galaxy A8 may offer 16MP for the dual-rear camera, but with no mention of an optical stabilizer for the Galaxy A8 camera, images seem rather poorer in quality if compared to the Galaxy S8. Up-front, the front facing camera for the Galaxy S8 comes with autofocus, while the Galaxy A8 camera is still. The shutter speed for the Galaxy S8 is also faster, coming at f/1.7 compared to the f/1.9 for the Galaxy A8. Interestingly however, the Galaxy A8 comes with two shooters up-front, an 16MP and 8MP shooter, which will enable photos with a bokeh effect. Both phones are now available in Malaysia, and buying it online would definitely save you a few bucks. 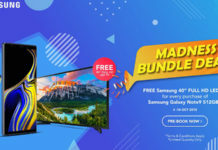 I’ve checked, and the cheapest Malaysia Warranty Samsung Galaxy A8 on Lazada Malaysia at the time of writing is RM1,799, while the cheapest Samsung Galaxy S8 on Lazada Malaysia is RM2,564. I figure both phones are equally good and I have tested both at a local shop for a brief 15 minutes each. Probably that’s not enough time to really test out the phones, but still, the feel I got sums up the fact that the Galaxy A8 is indeed a mid-range phone, and the Galaxy S8 is still far better, especially if you love taking photos like I do.